Amongst all cuisines I enjoy, Filipino food is perhaps the one I love most! Not because Pinoy dishes are what I coincidentally cook the best, but because the Philippine’s vast variety of flavorful food truly showcases our country’s rich culture. 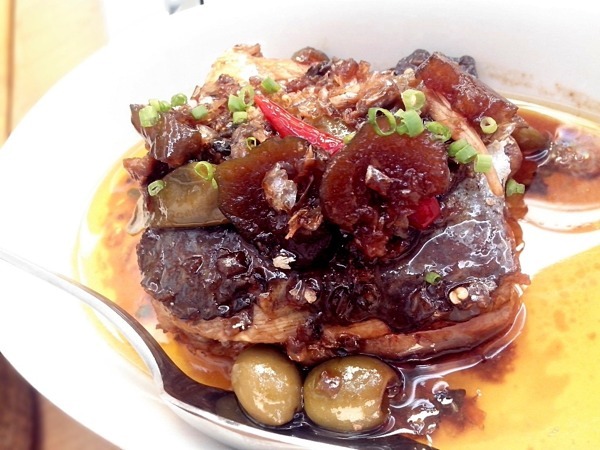 Zarzuela restaurant exemplifies this very well – superbly tasting Filipino food that has tons of heritage in tow. 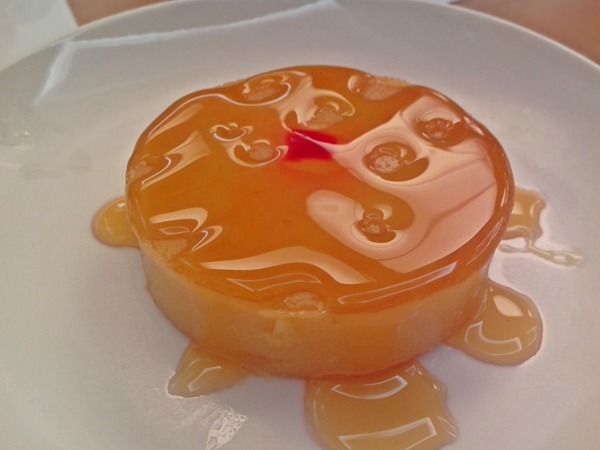 Zarzuela does not only serve food from one specific province or region. The food served in this newly opened restaurant are heirloom recipes of each owner’s respective families – Bicol, Quezon Province, Pangasinan and Bacolod. 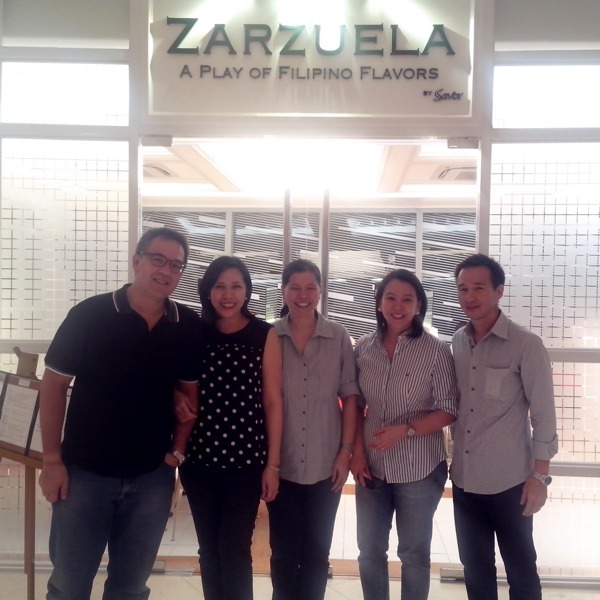 Dining at Zarzuela is like eating in our own homes – the place gives off a certain feeling of comfort and coziness. Every dish has its own story to tell and every bite will leave you wanting more. No exaggeration here. 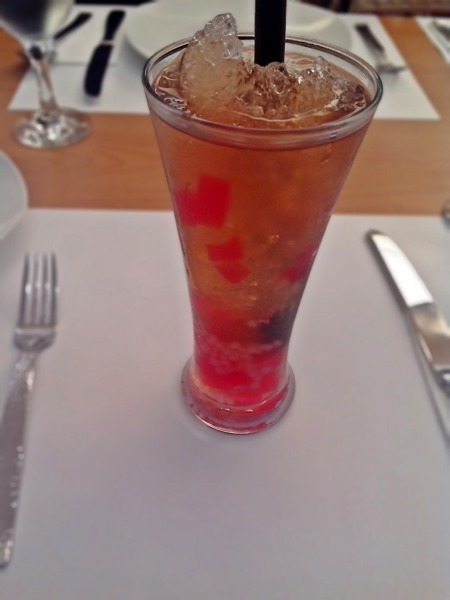 While we were waiting for our food to arrive, we were served a very straightforward, no-nonsense-tasting drink that brought back wonderful memories of my childhood days back in school which most definitely brought a smile to my face – Sago’t Gulaman. 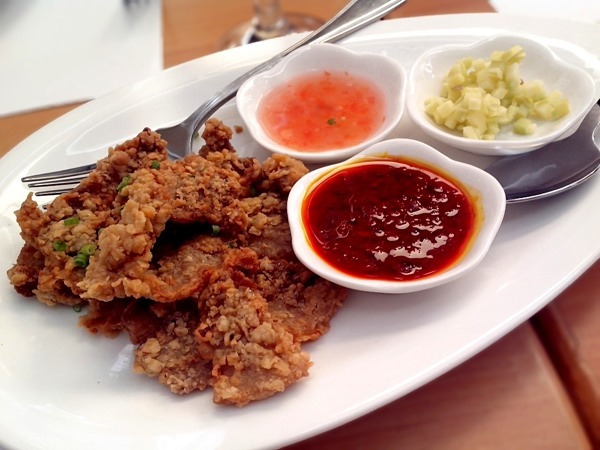 Our appetizer is fondly called Fountain Of Youth – breaded fried liempo with shrimp paste, vinegar and green mango. It’s like eating crispy Binagoongan but with the ingredients served separately. 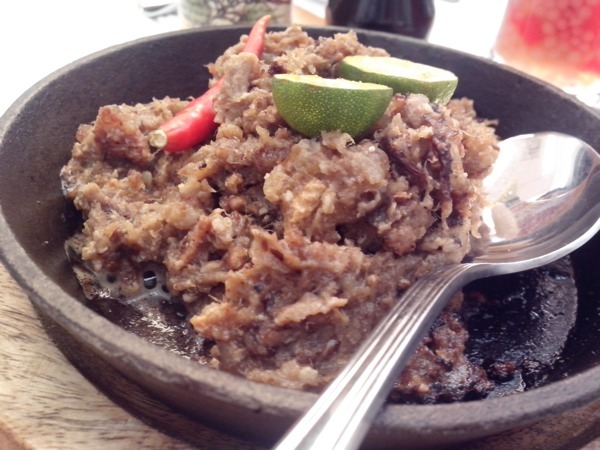 Cowboy Sisig (Php199.00) – this is my husbands kind of sisig… No onions! The beef has a distinct gamey taste that you will notice right away. I like how the beef and pork was grilled. I love the smokey flavor it gives off. Spanish Style Bangus Belly Sardines cooked in olive oil, brandy with olives, whole pickles and chilies. Spanish Style Bangus Belly Sardines (Php319.00). This dish reminds me very much of Christmas. I would eat this with hot pan de sal and queso de bola. It has a certain kick that excites the palate! 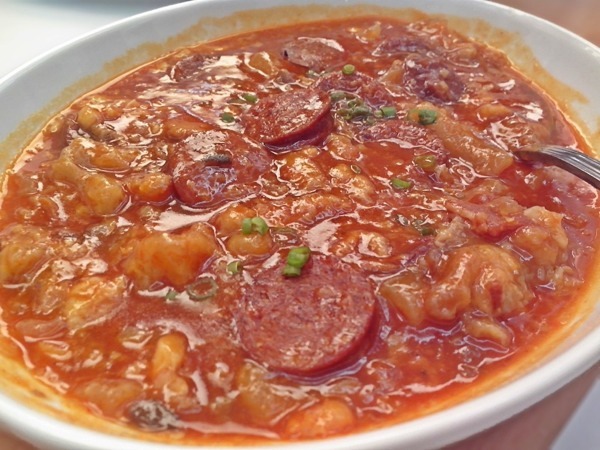 Callos Madrilena – ox feet in tomatoes, garbanzos and chorizo. Callos Madrilena (Php489.00) is, in my opinion, a dish fit for a princess! The Ox feet is sooooo soft and the entire dish is just bursting with flavors. Cooked and prepared beautifully! Note: They only use El Ray chorizo. And they don’t scrimp on it! YAY!!! Krispy Binagoongan cooked in their own signature shrimp paste. Krispy Binagoongan (Php359.00) is actually one of the owner’s favorite dish. It’s like eating chicharon smothered with shrimp paste. Beware if you are on a diet… one cup of rice is not enough! Also a must try! Krispy Pitaw is an Ilonggo delicacy. Fried and flaked. Krispy Pitaw (Php419.00) or Snipe is a kind of bird that I am not quite familiar with. But looking at it’s bones, you can tell that the kind of fowl used for this dish is a bit small. 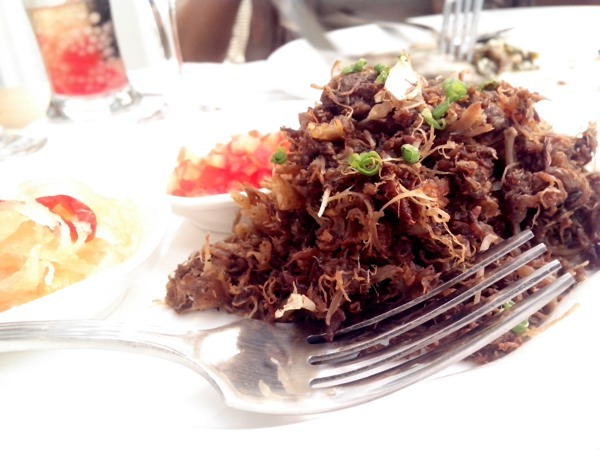 It’s seasoned and flavored like Adobo but the fare retains that distinct yet faint gamey taste. The kind of preparation for the dish is not new to me as I also cook Adobo Flakes. But eating Pitaw itself is most definitely a “first”. And it actually tastes great! This is perfect with an ice cold beer on a long night. 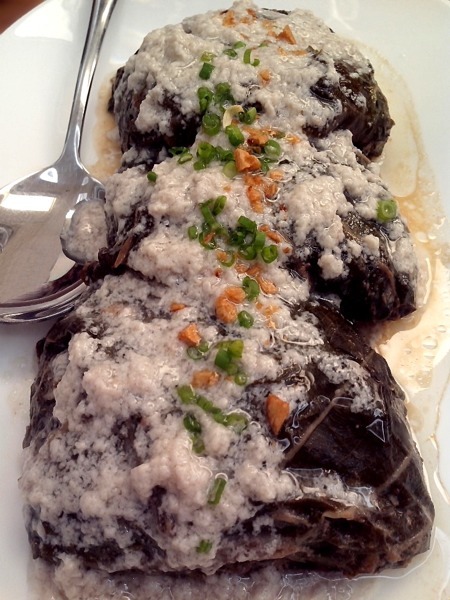 We also tried my favorite dish from Bicol – Pinangat. Also known as Laing here in Manila, this fare is slow cooked in coconut cream with thinly sliced pork belly akin to that of bacon wrapped in taro leaves. 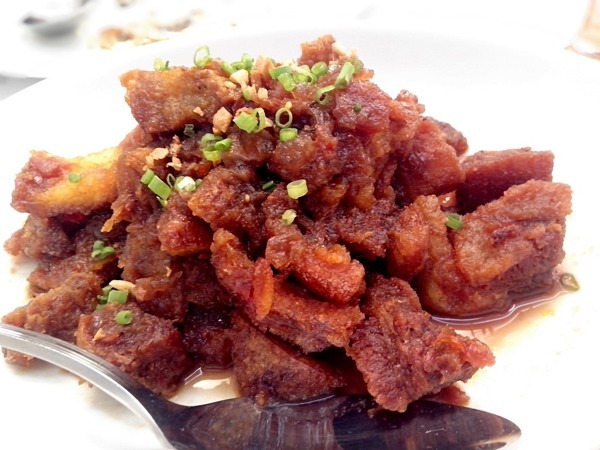 Pinangat (Php229.00) – This dish has chilies also that cannot be eaten alone. Nor is it for the figure conscious because you will be asking for MORE rice wherein you smother it with the dish’s delicious coconut cream. Zarzuela uses carefully selected tender taro leaves that don’t leave an itchy-like sensation in your throat usually caused by badly picked ones. To cap off dinner, we sampled a few of their desserts. Maruya is a typical afternoon snack enjoyed by every Filipino household. It uses plantains, coated in batter, deep fried and sprinkled with sugar. 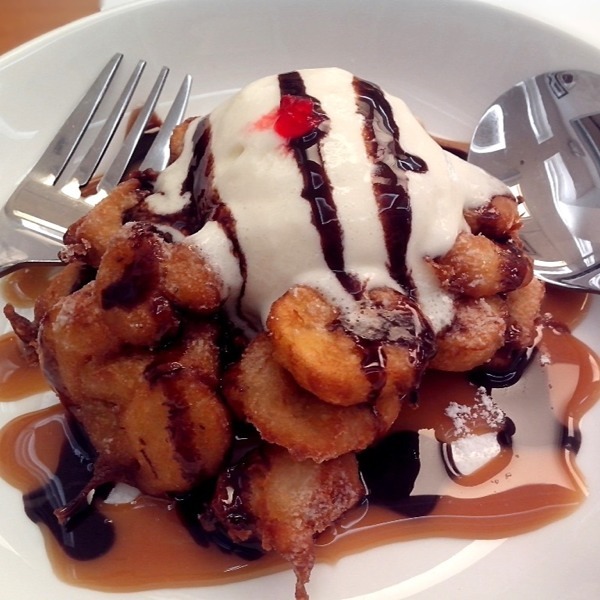 Zarzuela’s version of Maruya is topped with a scoop of Vanilla ice cream, drizzled with chocolate syrup and cherry. Voila! Maruya ala Mode will be your best buddy to beat the scorching summer heat! You can also choose from their wide selection of rice: Plain, Chorizo, Adobo, Aligue, Garlic and even Brown if you follow a strict diet. Each dish at Zarzuela is unique yet recognizable. They veer away from the trend of most establishments nowadays that serve fusion-inspired dishes, laden with countless twists that can rival Baguio’s zigzag roads. I applaud them for that. They have so much good stuff with a great mixture of flavors and spices that will make you come back for more. Being raised by grandparents who taught me how to really enjoy honest-to-goodness, awesome tasting home-cooked meals, it is quite hard to find restaurants that actually meet that certain kind of standard. Theirs is comfort food served the way it should be – Honest. Simple. REAL. Zarzuela also accepts reservations for your special occasions. It has a seating capacity of 100.